Standardized tests take on a whole new meaning in high school, with the SAT and/or ACT being huge components in the college application process. 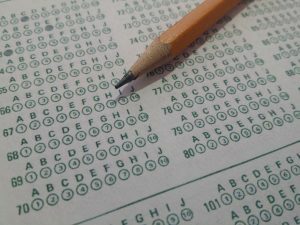 With the SAT coming up on April 5, I talked with Matthew Pietrafetta of Academic Approach, a test preparation and tutoring company with locations in Chicago, New York, and Boston. He offered his expert advice on what parents can do to get teens ready for the SAT and ACT. His wisdom is applicable to both those taking the test next week and those who are still a few years off. Between Us Parents: In an ideal world, what does the parent role for a child preparing for the SAT look like to you? Matthew Pietrafetta: Parents play a tremendous role in trying to build purpose. Teenagers can get a little cynical and not see the purpose. If purpose is built through compliance or authoritarian rule, there isn’t intrinsic motivation. Most successful students are intrinsically motivated. Those are character traits developed way before 16 and 17, so building purpose around learning and performance and having that be very positive is the principle role that the parent is involved in. Parents are involved in the psychology of our children and how they approach achievement. Parents need to be positive as they encourage their kids to be their best. For 20 years I've been meeting with families to go over practice test scores and have seen a lot of different tones set by parents. My favorite is when parents ask their kid, “What do you make of that?” It empowers the child and makes it a constructive conversation about the learning process and not just looking at the test as an anxiety-producing right of passage that's part of getting into a certain college. BUP: Speaking of anxiety, what can parents do to manage their high schooler’s stress level about standardized testing? MP: There are several basic things parents can do that have a big impact in keeping their kids stress level down. Don’t project yourself on your child. Parents may feel that they themselves were stressed out when they were taking the test, but don't put your anxiety on your kid. Know the process. You can take the test multiple times, and often schools will suppress the lower scores. Don’t approach test day like it’s doomsday if the process allows the child to take the test multiple times without penalty. It's important to know that a test taker can cancel their score if they had a horrible day, whether they were sick, had a bad break-up the night before, whatever. Parents need to know that to talk the student down a bit. Cultivate growth mindset. It’s age old stuff but it is so, so helpful when preparing for standardized tests, which are complex and covering a lot of material. A mistake is an opportunity to learn. The process is prolonged and requires deferring immediate gratification which is hard for kids, but most goals weren't achieved without a lot of hard work, and many take a long time. Teach kids that slow and steady wins the race, and this is what your life is going to be like in college, grad school, and as a professional. Always act with dignity through the process. The social drama surrounding the SAT and ACT can get intense. Remind your student that when others ask, they don’t have to tell everyone what you got on the test, what their #1 school is, or if they're taking it again. Don’t gossip about other people’s performance. There are so many other things to talk about. Parents can coach them to be polite and be private through the process so it doesn't become socially challenging. BUP: What should parents do to help kids the night before and day of the test? MP: I’m a big fan of sticking with the routine. A few years ago, I had a student who never ate fish. He read that salmon was good brain food, so he ate a ton of it the night before the test and was really, really nauseous on test morning. If you don’t eat something, don’t start now. Have your teen write down on one page the top lessons they know about themselves as test takers. Maybe it's that they need to slow it down on the reading because they go fast, or on the math they need to write out all the steps for problems with algebraic functions because they tend to make silly mistakes there. Read it in the car on the way to the test, look at it one more time. It helps them focus in on a few principles specific to them as a test taker. Go in with a plan, stick to it, and execute with confidence. One reason we do so many practice tests is because kids are going to do something experimental despite the plan that we’ve developed. I want them to get to know themselves and get confident in what works for them. That means making mistakes and learning. You just don’t want to be doing those experiments on game day. BUP: Is it worth trying to limit time on phones and devices in the lead up to the test? MP: There is no way to stop it, but I think the major thing is the night before the test is don't stay up too late. Devices need to be powered down at a certain point. Don’t let the buzzing interfere with a good night’s sleep. I've embraced the fact that they will use social media and technology, so it's more about focusing on the right content. Maybe go to a reputable blog and read about what you can be doing to prepare, or play vocabulary games to warm up their brains. 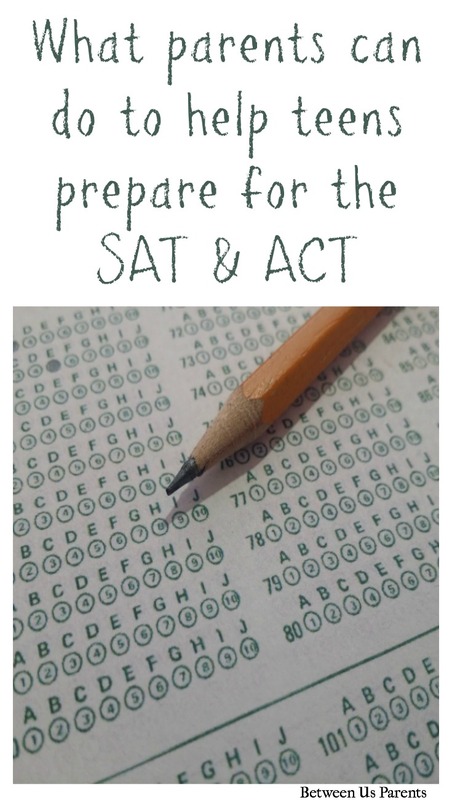 BUP: For parents who have younger students, when is a good time to start thinking about preparing for the SAT and ACT and considering whether to get a tutor? MP: The PSAT is given 3rd week of Oct. sophomore yr, get results Dec., so sophomores should be looking at those and trying to make a plan. Often it's "What am I going to do with my summer?" Also think about it in the context of test scores and academic performance. If the scores show you need to work on grammar, and you need that to also do well in English class, then start tutoring now as a combination of test preparation and academic enrichment. Teaching beyond the test is our favorite kind of tutoring - kids get skills to grow scores that are also relevant to their learning needs. We’re all about finding those great opportunities.